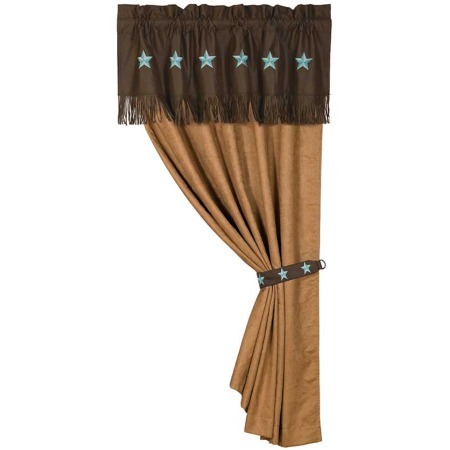 Single tan faux suede curtain with attached chocolate faux leather valance. Features embroidered stars and faux leather fringe. Includes matching embroidered star tie back. Easy to hang rod pocket styling; uses a conventional curtain rod. Measures 60" X 84". Dry clean recommended. 100% polyester. Imported.